When you think of helping the environment, does reducing carbon emissions come to mind? What if you could save money using renewable energy? West Coast Solar is here to share that you can do both when you make the switch to solar power for your Tuolumne County home or business. We encourage you to consider solar energy to help preserve Yosemite National Park, Stanislaus National Forest, and many more natural spaces around the area. How Does Solar Power Help Commercial Businesses? As a business owner, you have expenses to keep your business running. One of those expenses is your utility bills. What if you could reduce or even eliminate the cost of your utility bills? West Coast Solar offers a way to accomplish this with a solar power system. Our expert designers and certified solar installation technicians can help you make the switch to solar. Give us a call today to get started! How Does Solar Power Help Homeowners? When you think of your utility bills, what comes to mind? Do you dread opening the notice every month, not knowing how much more you’ll owe compared to the months prior? West Coast Solar is watching the energy costs across the nation and in California rise substantially. 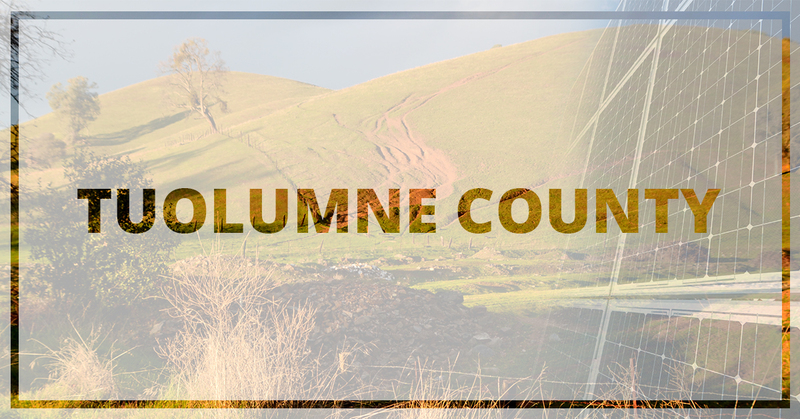 We sympathize with homeowners and business owners in Tuolumne County. If you want to save money and help the environment, give us a call today and make the switch to solar power! Our team at West Coast Solar believes that renewable energy is the future of energy use. Wind, hydro, solar, and more will eventually be the primary resource used to power our homes, vehicles, and buildings. Nonetheless, solar power reduces carbon-emissions significantly, it currently holds a tax credit with the federal government to encourage installation, and it’s relatively maintenance free once installed on your roof. Compared to traditional energy sources, green energy is a net positive impact on the environment and society. It can be tough to decide whether you want to make the switch to solar power or not. West Coast Solar is here to help you make the best solar system decisions possible. Your investment in renewable energy will do more than save you money on your utility bills. It will help the environment and give you more energy independence. Call us today to get started on your solar project!